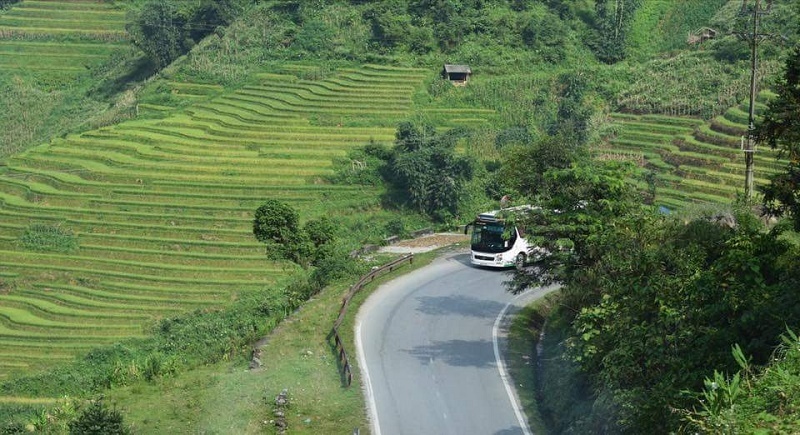 06:30 Arrive in Lao Cai and be transferred by shuttle bus to Sapa, which gives yours eyes a massage with the endless blue sky and colorful terraced paddy field. The road is curved around the mountain and you will just go from one surprised to another. The further you go, the closer you are to the sky and to nature. 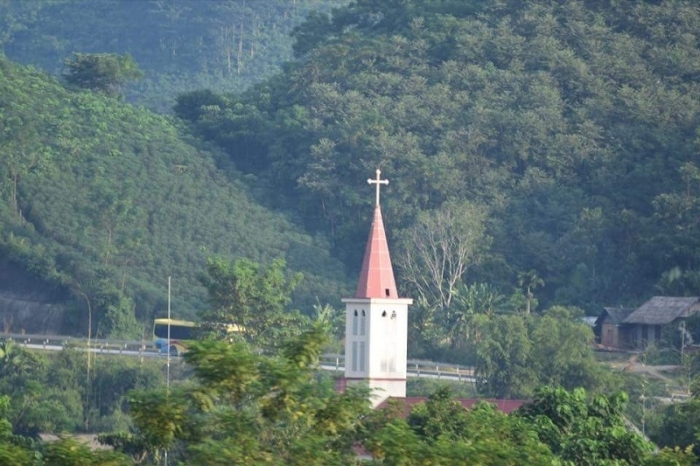 09:30 With a car drive to Love Waterfall. 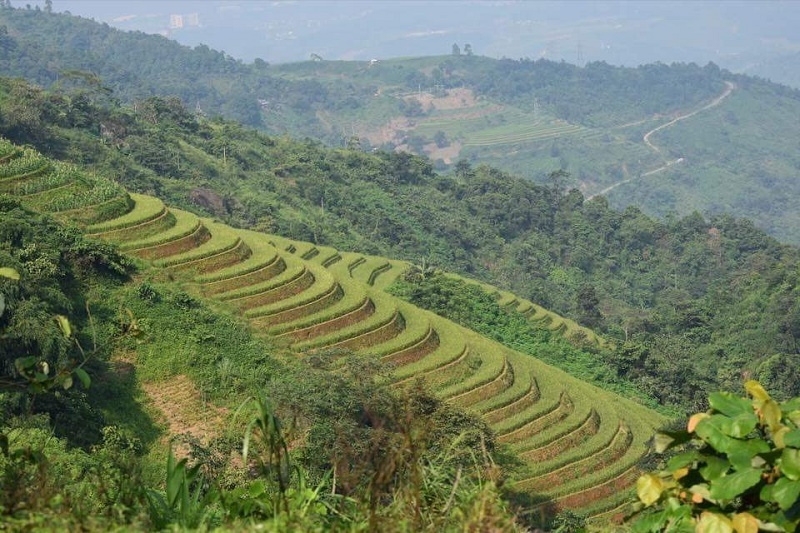 On the way you will see the wonderful views of Hoang Lien Son Mountain Range and some plantation of roses and vegetables in the valley. Our car will stop at Tram Ton Pass which is the highest road in Vietnam at 2047 m above sea level. We will then walk about 1.1 km along the Golden River to visit Love Waterfall. After returning to Tram Ton Pass, our car will drive you to Silver Waterfall. You have 30 minutes to walk around this area to enjoy the stunning views of the mountains and valley. 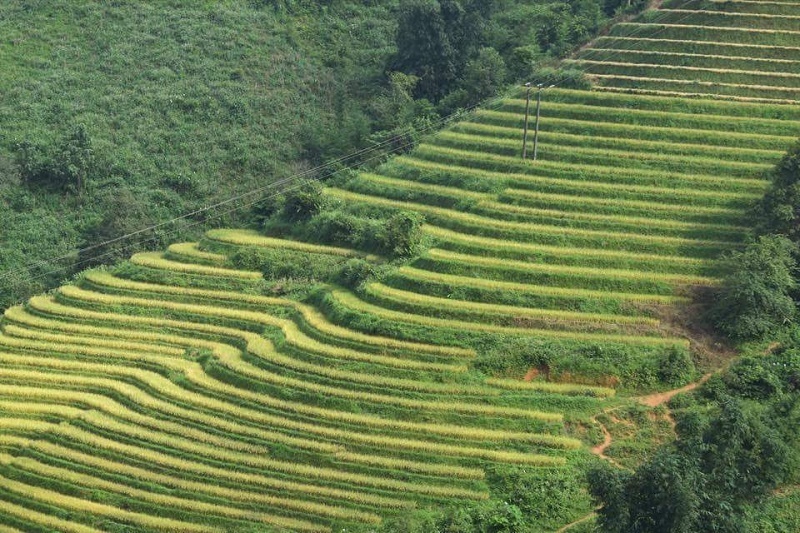 From here we will start the trek down to the valley towards Sin Chai village – the home of Black Hmong people. After having a picnic lunch, we will walk to Sin Chai village. 07:30 Enjoy breakfast at your hotel. 08:30 You meet your guide and start trekking. The first part we will mostly trek downhill Y Linh Ho hamlet. 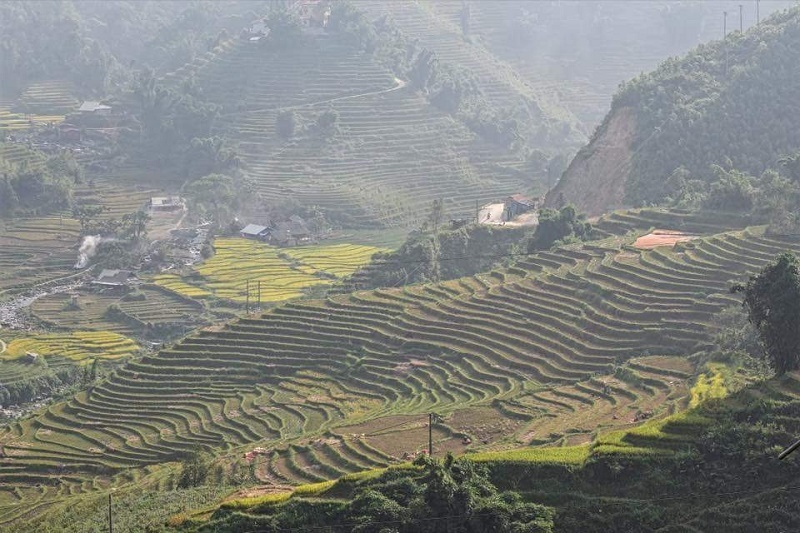 The trek offers some stunning views of the rice terraces, gardens and Fan Si Pan mountain ranges. After going through a suspension bridge, we start walking up to Lao Chai San village. 05:00 Hanoi upon your arrival, you are picked up and transferred to your hotel. Ends the tour. 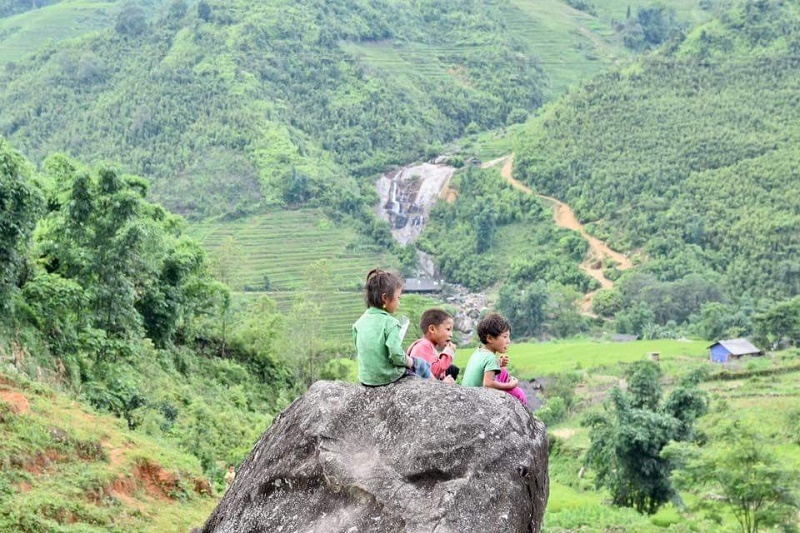 In day 2, if you do not want to attend the long trek Y Linh Ho - Lao Chai - Ta Van, our tour leader will help you visit another place. All tickets and transportation fees are paid by you. Old people should not attend the long trek (9 kms) due to its challenge and danger in case of rain. Handicapped people and children under 6 years old shouldn’t attend trekking.